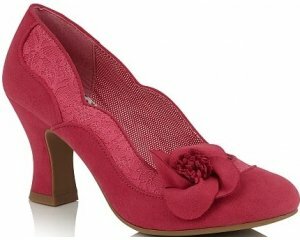 Start-rite First Mia girls shoe. 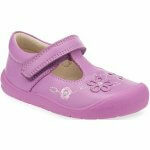 It features super soft durable leather uppers that help to protect little feet. The cushioned insole and soft padded ankle provides comfort, while the riptape fastening allows for adjustability and a secure fit when walking. Great for those little explorers as it has heel and toe bumpers to help reduce scuffing. It's flexible rubber sole supports their natural walking movement. Please note, the black patent does have a emerald shimmer to it.